Having a good roof is something you probably take for granted, until cracks, or missing or curling shingles cause leaks. But why would you wait until a leaking roof causes damage to your home? 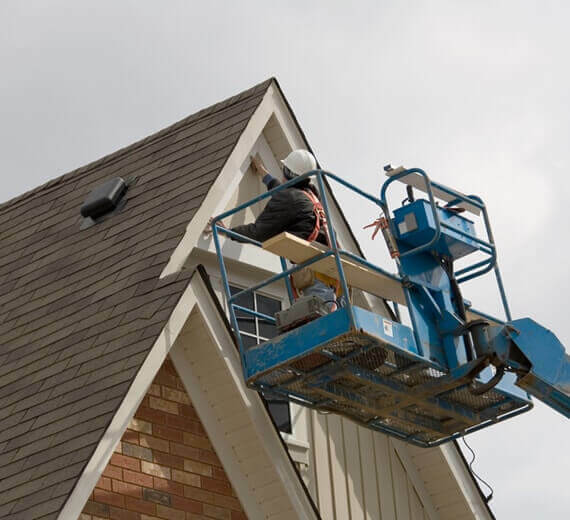 We recommend regular spring inspections as part of your annual gutter clean out to look for damage before it reaches your family on the inside of your home. Central Ohio’s weather is temperamental. 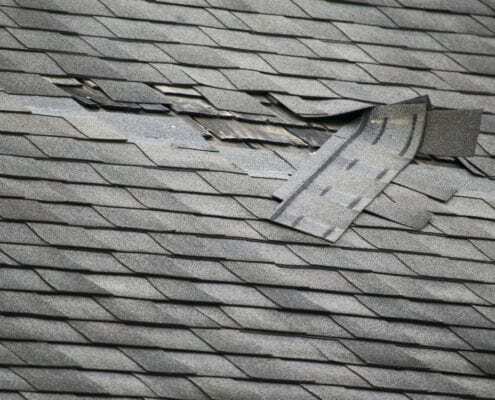 High winds, rain, and even hail, can cause your roof to fail. Scheduling a roof inspection will help give you peace of mind all year long. We have an experienced repair team that knows exactly how to spot a problem early before it can lead to thousands of dollars in repairs. If you’ve experienced wind, hail, or other damage to your roofline, contact us immediately. How will you know if the damage is great enough to call? Look closely at the items outside your home. Has your car or mailbox suffered damage? Are your window screens torn or vinyl siding dented? If you see the small, telltale pockmarks from hail or other damage, it’s time to call us. Columbus Windows & Siding works with all insurance carriers and can help you report the loss. Our experienced team has dealt with hundreds of these situations and will work to prepare a damage report with an itemized estimate for repair. We will meet with the insurance adjustor to discuss the repairs and your coverage. Then we will sit down with you and discuss your options. Depending on the damage, and the amount of coverage you have, these repairs could be paid for by the carrier. Contact us today for a free roofing inspection and estimate for repairs. Don’t wait for your roof to leak after a storm. It’s the unseen damage, like mold or the weakening of the structure, that professionals can proactively look for – before it’s too late. But how will you know what materials to choose? Columbus Windows & Siding uses only the best available shingles, made by major manufacturers like Owens Corning and GAF. These are trusted names in the business and offer products with great warranties that we put our trust in – and our name behind. But what’s under the shingle is just as important at the shingle itself. For decades, roofing best practices had required a 15# layer of felt under the shingles. This helps pull water off the roof and dampens sound for the residents inside. But the latest industry improvement is a synthetic version of roofing felt that offers better protection from the elements. We offer an upgrade to synthetic roof felt as an extra layer of defense to protect from winter ice dams that can build up under your shingles and cause roof leads. This would cost on average $1700.00 a roof. Always ask your roofing contractor what kind of materials they’ll be using. You should always get a replacement estimate in writing, along with a written warranty. Moisture is the enemy of any roof. Without proper roof ventilation, heat and humidity can build up in your attic, wreaking havoc on the roof decking and shingles. With proper ventilation, your home will stay cooler in the summer, increasing your air conditioning bills and wasting energy. Without proper ventilation, your roof may wear out prematurely, and even void the manufacturer’s shingle warranty. As part of the standard roof inspection, Columbus Windows & Siding can evaluate the effectiveness of your existing ventilation system and suggest ways to improve the efficiency and longevity of your roof. Roofers have a bad rap. That’s because there are a lot of unscrupulous scam artists working in the industry. Finding a reputable locally owned company with a talented team will ensure you’re happy with the work for years to come. Our process includes the ability to speak directly with the company owner at any time. As a locally owned small business, Columbus Windows & Siding competes with even the biggest roofing company who subcontract their work. A thorough professional inspection and detailed written estimate that includes the materials used and warranties offered. Top of the line materials and workmanship. A professional Project Manager to coordinate construction from start to finish. Clear communication on the project start and end date. You’ll know exactly when materials will arrive. If bad weather postpones our work, you’ll hear about it promptly. Removal of old materials and a daily trash cleanup. Tarping over existing landscape materials. There is a reason why the majority of our business comes from word of mouth. You do not have to settle for a bad roofing contractor experience by less than professional or unethical companies. Columbus Windows & Siding has the expertise and professionalism that Central Ohio home and business owners deserve. Did Winter Damage Your Roof? https://columbuswindowsandsiding.com/wp-content/uploads/2018/03/Winter-Roof-Damage.jpg 836 1254 Doug Bond https://columbuswindowsandsiding.com/wp-content/uploads/2017/04/logo-300x88.png Doug Bond2018-03-05 05:02:432018-03-05 16:03:45Did Winter Damage Your Roof?